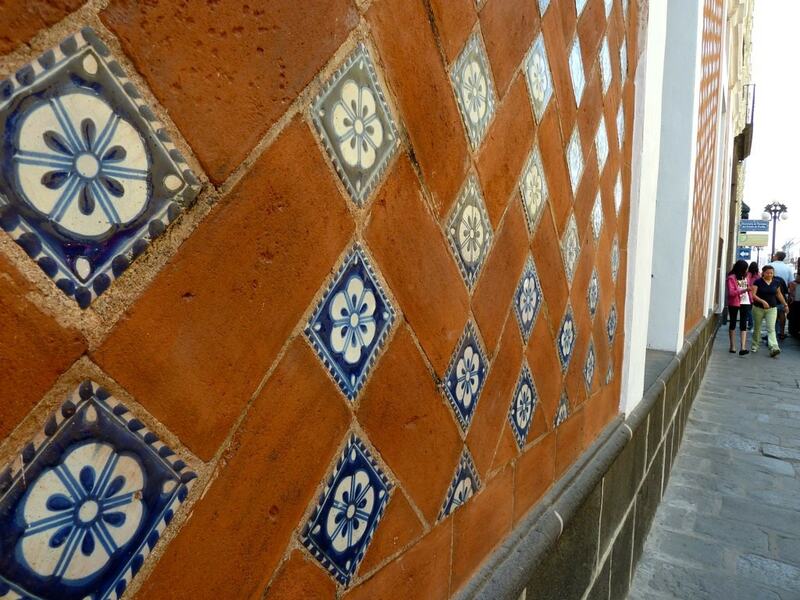 Talavera, like so many things in Mexico, is a mix of indigenous ancestry, Spanish influence, and local adaptation. The Talavera decorative style originated in Spain but was combined with the deep-seated tradition of ceramics already established in Puebla, due to the excellence of local clay, when the Spanish arrived. 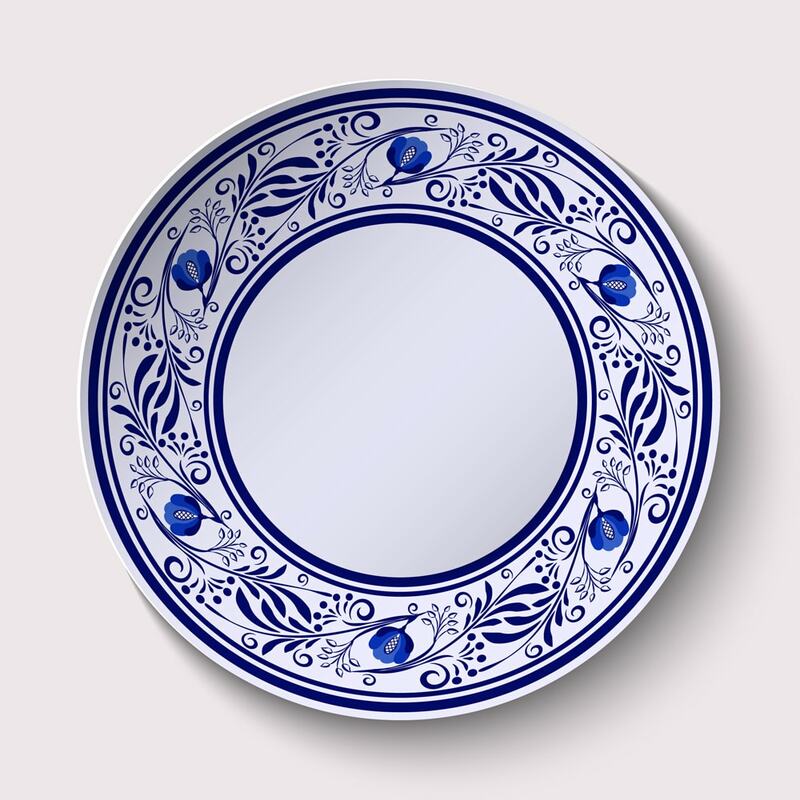 The best Talavera is now designated with Denominación de Origen de la Talavera, a distinction that signifies loyalty to the traditional techniques of production and artistry. 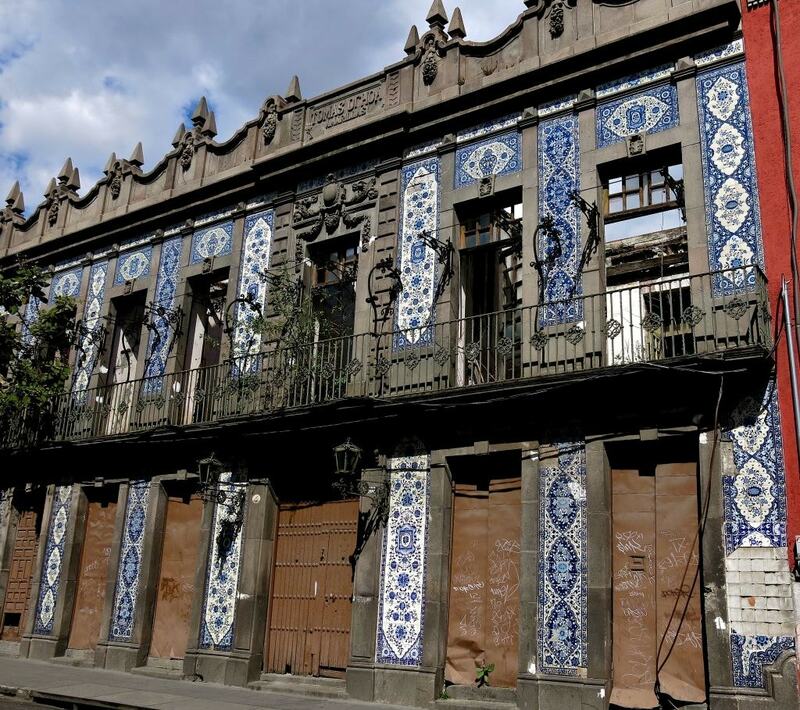 Here is a list of some of the best places to find authentic Talavera on your next trip to Puebla. The Talavera de la Luz workshop came to be in 1996 as part of the renaissance of Talavera craftsmanship that the city of Puebla was experiencing. This workshop is currently only one of nine that have Denominación de Origen status. Their shop lies in the Barrio de la Luz, the traditional location of pottery workshops in the city (where vases, dishes, and pots are made and sold plain for further decoration by artisans). They offer free guided tours for visitors who want to see the process of making Talavera in action and a showroom where you can purchase pieces. Talavera Celia is a favorite for visitors because of its sheer number of activities and ways you can learn about this local art form. They have an interactive museum, complete with over 650 collectible pieces of Talavera, where you can learn about the entire creative process of this pottery style from start to finish. They also offer guided tours of their workshop to see the Talavera painters at work, as well as occasional courses and workshops where visitors can come for the day and take home their very own piece of Puebla. You can also visit the Jose Luis Gutierrez Gallery of Talavera and have a bite to eat at their very popular Celia’s Café, which features a menu replete with typical regional dishes and local coffee. Uriarte Talavera is the largest Talavera manufacturer in the world, founded in 1824 and a symbol of quality and craftsmanship in the Talavera world. Their pieces are in museums across the globe, and they have worked with various well-known artists to create modern works of art and architecture. All of Uriarte’s creations are handmade, and most are signed by the artists that have decorated them. They sit in a beautiful old home in the center of Puebla, and you can drop by to purchase items or watch the artisans paint their masterpieces. Founded in 1990, Talavera La Reyna was granted Denominación de Origen status in 1998, and it is a favorite stop for buying Talavera and watching the process at work. Talavera La Reyna’s Galeria Alarca features a beautiful collection of ceramics made by 70 artists from different artistic traditions; it is worth a visit if you want to see some exquisite ceramic art. Their workshop also offers guided tours and Talavera painting classes. Created in the 1990s by the Mexican artist Fernanda Gamboa (who now works alongside her partner Simona Capasso), Talavera Santa Catarina has had official Denominación de Origen status since 2000, and the workshop creates not only traditional designs but also art objects and more modern styles for their customers. They offer guided tours that explain the Talavera-making process and are generally led by Gamboa herself. They also have a shop on-site where visitors can purchase pieces to take home with them. Talavera Armando is one of the youngest Talavera workshops that you will find in the city, with a mere 15 years of producing this style of ceramics. They offer both traditional styles and more modern takes on the art form, with pieces that branch out from the regular white and blue traditionalist bent. Like other workshops on this list, you can take a tour of the space and see Talavera painters at work. The artisans are friendly and will take time to stop and talk to you about their techniques and creations. While most Talavera pieces that you find at the Mercado de Artesanías will not have Denominación de Origen status (look for the DO4 on the bottom of the piece), essentially making it more affordable, the craft market can be a good alternative place to buy a souvenir or gift to take home. 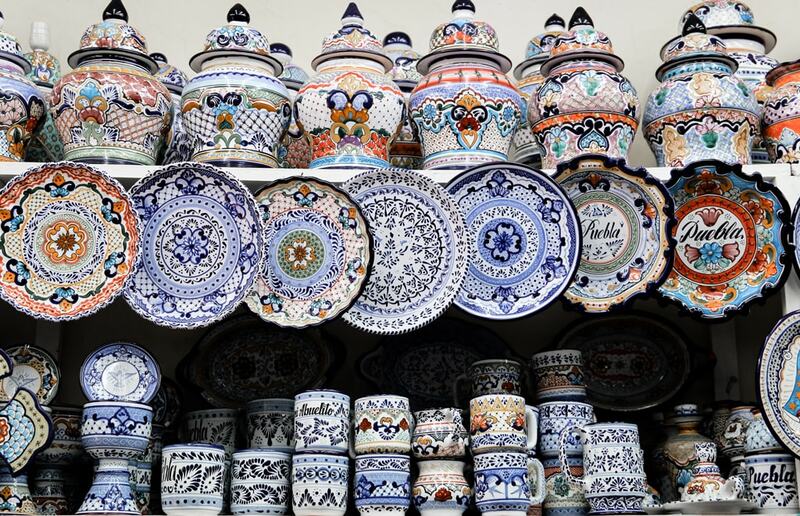 You will find rows upon rows of Talavera-style ceramics painted with all different designs and colors and at much more accessible prices than what you will find at the big name galleries and workshops. The Callejón de los Sapos and surrounding streets are chock-full of antique shops and ceramic stores. There are hundreds of styles and colors to choose from, and in many shops, you will find more budget-friendly prices than at the official Talavera workshops around town. If the Denominación de Origen status is important to you, make sure to check the pieces for the DO4 label, but if not, feel free to purchase to your heart’s content and pass it off to your friends at home as the real deal. The pieces are beautiful either way!